OTN provides sound solutions, safely delivered on time, at an excellent value. In today’s competitive business environment, profitable day-to-day operations are dependent upon your facility and equipment being in optimal condition. 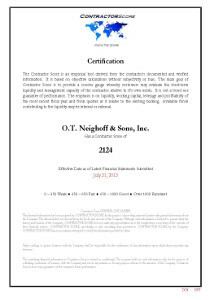 OTN understands the importance of your investment and knows how to protect and improve your assets. Years of commercial and industrial painting along with our construction contracting enable us to provide informed advice on the best methods to solve your maintenance or expansion needs. We blast it, coat it, paint it and build it. OTN offers services in the following areas: Industrial Services, Resinous Floors, the OTN Blast and Paint Shop, Commercial Painting & Finishes and Construction Services. Our considerable resources of knowledgeable estimators, skilled craftsmen, dedicated office support staff, and well-maintained facilities and equipment stand behind every project. Our commitment to safety, service & quality assures that every project is managed efficiently and on schedule, providing excellent value for our clients. 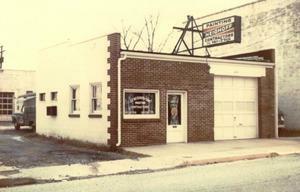 Founded by the late Oregon Thomas Neighoff, Sr. in the early 1960's, O.T. 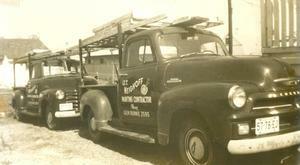 Neighoff Painting Contractors was a small, local residential painting company. Growing client requests and the desire to improve the company motivated Ken Neighoff to expand its contracting services to include Commercial Painting & Finishes. The company’s upstanding reputation in residential painting quickly won new commercial accounts. Continuing growth enabled the company to purchase new trucks and equipment, hire and train larger crews and relocate its offices to larger facilities. The company incorporated in 1972, becoming O.T. 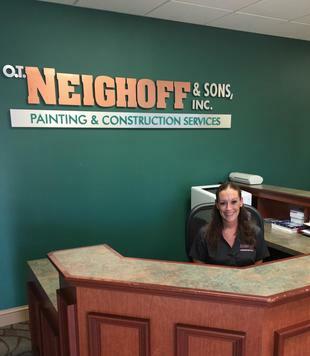 Neighoff & Sons, Inc.
As OTN's experience in commercial painting became more technical, the potential to provide contracting services for the industrial sector became a reality. OTN developed strong affiliations with industrial coatings and equipment vendors, staying well informed in product knowledge, surface prep and applications techniques. Growing recognition for the skilled craftsmanship and quality of service delivered by OTN enabled the launch of the Industrial Services Division. Industrial Services continues to grow today and includes OTN’s on-site Blast and Paint Shop. The Blast and Paint Shop provides a multitude of blasting and coating services for industrial, commercial and residential clients. Rounding out OTN's services is the Construction Division, which was formed in 1986, again in response to client requests. Construction contracting services include commercial renovations, construction management and new construction. 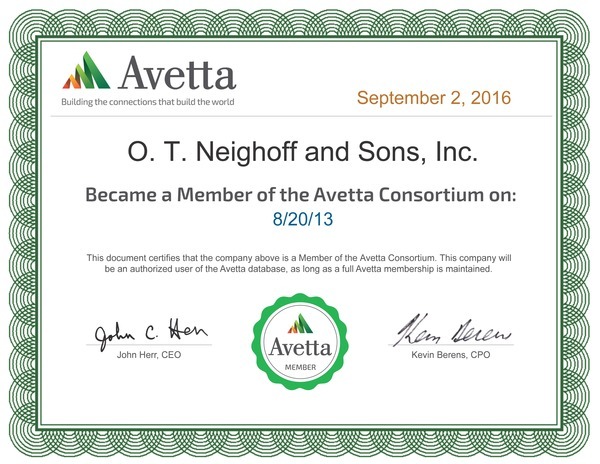 Through the company's growth and development over the last 45 years, OTN has remained committed to performing every contract to the highest degree of industry safety and quality standards; operating in full compliance with OSHA & EPA guidelines. O.T. Neighoff & Sons, Inc., is licensed, insured & bonded in the states of Maryland, the District of Columbia, Virginia, West Virginia, Delaware, Pennsylvania, New Jersey & North Carolina.